I was recently approached by a client to have a think about ways I could improve their data collection from prospective employees. They already had a website (which I created for them many years ago) which was performing very well, but since them, the number of forms that candidates needed to complete offline had increased. People seemed to be getting confused about the number of forms and were failing to send send them by email or in the post. Also many fields were duplicated across the forms which was obviously tedious for the people filling in the forms. A new online form that incorporated these separate forms into a nicely ordered form, seemed to the the obvious solution. While there were already several forms on the website (all handled by Contact Form 7), I felt that the new form required additional security precautions because of the data it was collecting. My Google search lead me to Formsite. 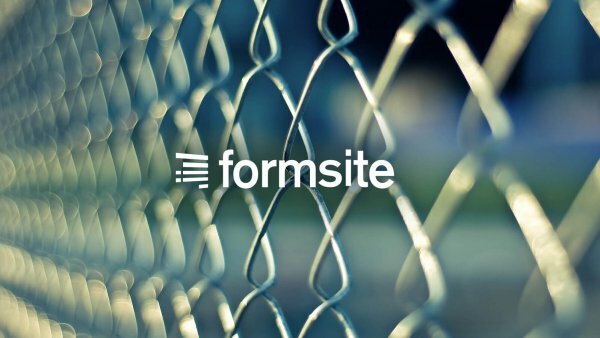 With Formsite, once you have created an account you can create forms using a drag and drop interface, and share a secure link to your form or embed it into a page on your site. The service hosts your form on its server over https and allows you to use encrypted fields. It also processes its results, capturing the data in your account to view at any time by logging into the site and, if required, sending email alerts. I had a go a creating the form and it was nice to use. I also had the odd question and found the technical support by email to be very good. The thing that was most time consuming for me was styling the form, as I wanted it to look consistent with the rest of my client’s web site. After speaking to technical support I found that it was possible to link to an external stylesheet hosted on your domain and pull this into the embedded form, but this wouldn’t won’t work for secure forms unless your own domain and stylesheet is hosted on https (and mine wasn’t). The only option was to add <style> tags to the form in Formsite. This didn’t turn out to be too much of a big deal, but beware, your css code can easily get overwritten by Formsite’s online style editor! I’d advise writing the css in Sublime Text or another code editor first, and then copy and paste it into the editor in Formsite. Just one more thing: don’t think you can get by on a free plan: the system only stores 10 responses from each form – after that you need to export your data to make room for more responses. That aside, Formsite is a great tool if you collecting a lot sensitive data, and the cheaper plans are very reasonably priced.